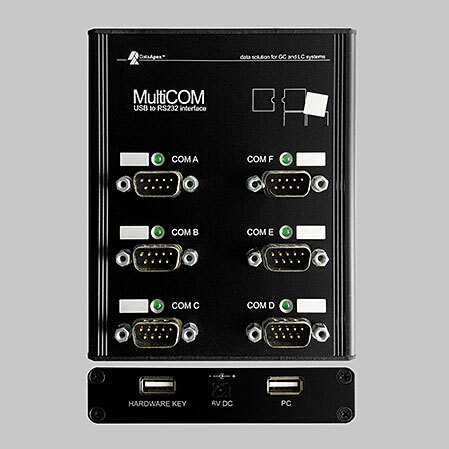 MultiCOM extends the PC by 6 COM (RS232) ports. MultiCOM includes another USB-A connector for the use with any device with low power consumption, for example the Clarity HW key. The power supply for the MultiCOM converter is normally provided via the USB cable from the computer; however external power supply adapter can also be used. MultiCOM is supplied with USB cable and Windows software drivers on DVD.